This article is from the WSSF 2005 AFRMA Rat & Mouse Tales news-magazine. 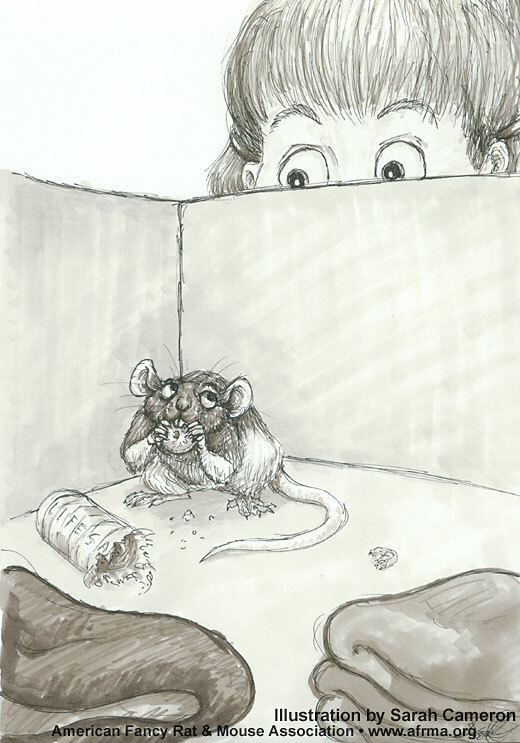 QI am an 11-year-old girl with three rats: Ginger, a tan and white, Babby, gray and white, and Blue, a black and white. Five days ago I lost Babby. Today I found her in my night stand. What kept her alive is Lifesavers the candy, but now she is sick and very thirsty. What do I do to help her? I also would love to know more about your organization. AGive her lots and lots and lots of fresh clean water. Also, some cat kibble along with her regular food for a few days to help put any weight back on that she may have lost. Actually, rats can go for many days without food or water if they are healthy. All that sugar is not good for them though, so keep Babby safe and tell her to lay off the snacks. You may visit our web site www.afrma.org to learn more about AFRMA.